This time of year, many drivers debate whether or not it is worth investing in a dedicated set of snow tires vs all season tires. If you live in an area that only gets minor snow flurries during the cold months then you’re probably safe sticking with all season tires. Otherwise, its wise to invest in a good set of snow tires. If the winter temperatures where you live are regularly below 45 degrees F, you should invest in a set of four snow tires. If you live in a place where it rarely snows and the winter temperatures are relatively mild, like the Southern United States, your all-season tires are probably fine. All-season tires are just that, tires that you can use to drive in all seasons. They don’t have the same compound in the rubber that winter tires do so they aren’t as good in cold and snowy conditions. All season tires feature a harder tread compound than the tread rubber used in a winter tire. This is because the rubber has to last longer and grip at a larger temperature range. Snow tires are built specifically to perform in winter conditions like low temperatures, ice, slush, and snow. The tread compound of all-season tires can harden in low temperatures, so there’s less traction between the road and your tires. But winter tires use special rubber compounds that stay pliable in the cold, giving them better grip and improved braking, even in extreme conditions. 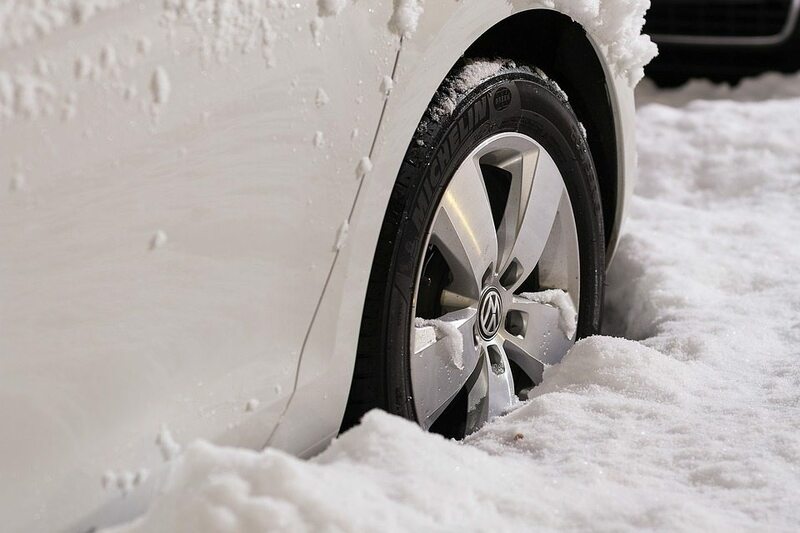 Winter tires should only be installed in sets of four, regardless of whether your vehicle is front-wheel drive, rear-wheel drive, or all-wheel drive. Using two different types of tires can give your vehicle a “split personality” where the front and rear are not working together. For the best handling, control, and safety in tough cold-weather conditions, we strongly recommend using four winter tires. *We don’t recommend using your snow tires all year around. Don’t set them tread side down or the tread may develop flat spots. Changing temperatures can cause the tires to age quicker so it’s best to store them in a dry and cool location. Sure, winter tires cost more. But consider that you’re getting a lot for your money. When you factor in the better stopping distance and handling in turns, it’s easy to see how winter tires could prevent an “at-fault” accident. If your collision deductible is in the $500 to $1,000 range, winter tires could actually pay for themselves in a single season if they keep you out of an accident. Hopefully this has helped you learn the difference between snow tires vs all season tires. A wise and knowledgeable purchase now will save you from grief in the future so make sure you buy the right tire for your environment. For any questions, please contact us and we will do our best to help.